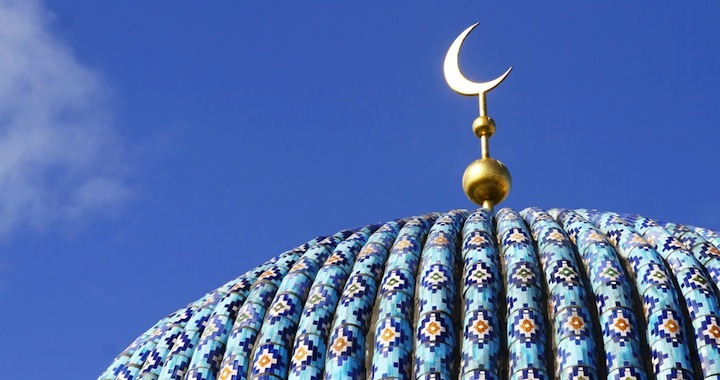 In 2015, the Islamic world was the center of the world’s attention. It is the most unstable region which has been the most swept with the fire of ongoing civil wars. In 2016, we can expect the conflict to spread to the still relatively stable parts of the Islamic world. The confrontation between the Sunnis and Shiites will intensify. The phenomenon of the Islamic State has a special importance. From small sectarian groups in Syria and Iraq, it turned into a global threat. Increased competition posed by ISIS has forced other jihadist formations to intensify their activities. The civil war in Syria was the center of world politics in 2015. The internal conflict became a field of collision between global powers and the place where the fate of American hegemony was put at stake. Russia and Iran have used all of their diplomatic and military efforts to prevent the victory of the opposition forces, and instead have pushed for a significant US defeat, demonstrating that the United States and its allies can no longer impose its will on other parts of the world. The first problem was solved, while achieving the second goal has been postponed for an indefinite amount of time. Damascus managed to avoid defeat his year. The military intervention of Russia and the support of Iran helped to win several territories from the opposition forces. The primary military success was the capture of Homs by government troops. In November 2015, the Syrian army took control of the town of El-Khader, which was the main Jabhat al-Nusra terrorist stronghold. Nevertheless, the country's territory remains divided. Bashar al-Assad's government controls most of the East,while ISIS controls the West, which consist of the valleys of the Tigris and Euphrates and the Palmyra area. The remaining territory is divided between numerous Islamist groups led by the Gulf state, Turkey, and the United States. The impossibility of significantly changing the balance of power in the internal Syrian confrontation in the near foreseeable future compelled foreign players to look for ways to end the conflict through a diplomatic settlement. The Russian military intervention forced leaders of Western countries to be more accommodating. Fearful of its success, the West decided to beat Russia in the diplomatic field. In November 2015, Vienna launched another series of talks on Syria. For the first time, the negotiation process included not only Russia and the West, but also Iran, Saudi Arabia and the Gulf states. Despite a number of agreements in the negotiation process between the major geopolitical actors whose interests collided in Syria, the main result of which was the decision to hold general elections within the next 18 months, serious disagreements over the future of a political settlement in the country remain. The main issue is the question of the current president Bashar al-Assad's dismissal. The United States, the EU, Turkey, Qatar, Saudi Arabia, and the Syrian opposition under US control all insist on it. Russia, Iran, Hezbollah, Damascus itself, and Bashar al-Assad's Syrian supporters are against it. Another outstanding issue is the creation of a single terrorist organization list. This task is entrusted to Jordan which is currently participating in the conflict on the side of the Western countries and supports the Syrian opposition. However, the Hashemite Kingdom aims to keep friendly relations with Russia, and therefore it is balancing between the two power centers. There are three positions all facing each other on this issue. The position of Russia and Iran is that not only ISIS and Al-Nusra, but also Jaish al-Islami, Ahrar al-Sham and other jihadists financed by Turkey, Qatar and Saudi Arabia, are to be recognized as terrorist organizations. The position of Turkey, Qatar and Saudi Arabia is that ISIS, Al-Nusra, Shiite self-defense groups, and Hezbollah must be recognized as terrorist organizations. The position of the US and Europe is that Jaish al-Islami, Ahrar al-Sham and other jihadists financed by Turkey, Qatar and Saudi Arabia must not be included on the terrorist list. Disagreements on who may be involved in the negotiation process nonetheless still remain. All parties insist on the exclusion of those who they consider to be terrorists. In addition, Saudi Arabia, which tried in December to hold a unity congress of the Syrian opposition, along with Turkey, insist on excluding Syrian Kurds. The United States supports including all parties who oppose Assad, except Al-Nusra and the ISIS, in negotiations. In 2015, anti-ISIS forces failed to achieve a victory over the Islamic state. The most efficient structures opposing ISIS became the Kurdish self-defense units and the Iraqi Shiite volunteer formations. The first group's training was actively invested in by Turkey, Israel and the United States, while the second one by Iran. Iraqi armed forces, in most cases, were defeated by the ISIS, leaving their equipment and weapons behind. The primary success of the year for the anti-ISIS forces was the liberation of Tikrit (a town in the north of the country) from ISIS in March 2015. The main setback was the ISIS capture of Ramadi, the Anbar provincial center 90 kilometers from the capital of Baghdad. In November of 2015, Iraqi Kurds cut the road between Raqqa (Syria, the ISIS headquartered) and Mosul (Iraq, the main ISIS stronghold in Iraq). Thus, ISIS was actually divided into two parts and weapon and oil supplies between the ISIS militants in Syria and Iraq were blocked. In December, the Iraqi army, supported by US aircraft and Shiite volunteers, launched an offensive to liberate Ramadi. Despite official claims coming from Baghdad, much of the city remains in ISIS hands. Iraq remains divided religiously and politically. The southern part of the country is controlled by the Shiite government, following Iran, but is also dependent on the United States. The north-western region, where Sunnis live, is controlled by ISIS. Its northwest territories are under the control of Kurdish forces. Iraqi Kurdistan is in a difficult situation. Power there is officially in the hands of the Barzani clan which aligns with Turkey. At the same time, the region is influenced by PKK forces, Syrian Kurds, and Yazidi militants who are not subject to Barzani and have a negative attitude toward Barzani’s strategy to make Kurdistan a dependent Turkish territory. Over the past year, the Islamic State demonstrated an ability to effectively defend its territory, capture new areas in Syria and Iraq, and ? ?spread its influence to other parts of the world. The ISIS phenomenon includes pre-modern, modernist and post-modernist elements and is deployed at the regional and global levels. The regional prospect of ISIS is based largely in Syrian and Iraqi Sunnis and in countries where was or has come to be in the hands of explicitly religious groups. ISIS has also utilized the organizational skills of the former structures of Saddam Hussein’s nationalist regime in Iraq. In other parts of the Islamic world, ISIS used controversies and divisions within existing terrorist groups to enable it to use its brand in different extremist structures. This tactic of creating terrorist franchises resulted in the appearance of ISIS groups in Afghanistan, Libya, Yemen, the Philippines, Bangladesh, Egypt, and joining the Boko Haram group in Nigeria. The terrorist attacks in Paris on November 13th 2015, as well as the terrorist attacks in the Middle East and Africa carried out by ISIS terrorists, showed that the group has successfully entered the global arena. The most significant part of ISIS propaganda is aimed at the West. Media images and cliches typical for Western popular culture are used, emphasizing displays of violence and the image of successful, brutal conquerors. In 2015, the Islamic State achieved an impressive victory in the media, becoming the most notorious media phenomenon of the Islamic civilization in the world. The existence of ISIS became an excuse to interfere in the Syrian conflict for both the US and Russia. The established anti-ISIS coalitions mainly fight to resolve the Syrian conflict in their own favors. First of all, this involves the United States, whose territory is located far from the main ISIS bases, and where the proportion of the Muslim population is about 1% (in Russia – 10%). The US and its allies showed a reluctance to fight against ISIS's financing. Possible actions that could be taken are targeting and destroying the Islamists’ oil caravans and sanctioning their individuals and entities as well as states participating in the ISIS oil trade. Yes these steps were not taken. Iran has agreed to get rid of 98% of the available fuel and cut two-thirds of its centrifuges. The Islamic republic has pledged “[t]o not seek to acquire, to develop or to have access to any kind of nuclear weapons, under any circumstances.” In response, the European Union and the United Nations have pledged to lift sanctions against Iran. The United States plans to cancel only those sanctions affecting Iran's nuclear program, while upholding sanctions imposed for other reasons. The warming of relations with the United States has been only partial. Iran has strengthened its relations with Russia within the context of the two countries' joint actions in Syria. The military intervention of Saudi Arabia in Yemen complicated relations between states in the region. In fact, Iran is engaged in a proxy war against the Saudis and their allies in Yemen. The conflict with Russia became the main development of 2015 for Turkey. According to our information the Turkish operation to destroy the Russian military aircraft was coordinated by the Americans who intended to set these two powerful regional players on a course of collision. Before that, in spite of the different positions on Syria, both countries were building mutually beneficial economic cooperation, especially in the energy sector. Russia was ready to agree to the establish a Turkish control zone in northern Syria. The conflict with Russia disrupted plans to peacefully realize this scenario. Unprofitable conflict for Turkey and Russia forced the Turkish leadership to seek help in the West and began the process of the restoration of diplomatic relations with Israel. They were frozen in 2010 after the incident with the Turkish ship, the Marmara, involved with Gaza. Now Israel, like Iraqi Kurdistan, could become a gas supplier to Turkey as Russian gas supplies could be blocked. Turkey is seeking to save face and its officials have claimed that a full normalization of relations is possible only after Israelis cease the Gaza blockade, but there are no signs of a change in policy towards Palestinians. Losing Russia, Turkey tried to gain the support of Saudi Arabia in jointly defend their interests in Syria and northern Iraq. The deployment of Turkish troops in Iraqi Kurdistan in December 2015 caused a worsening of relations with Iran and Iraq. A serious factor in destabilizing the internal situation in Turkey is the Kurdish question. In 2015, Turkish Kurdistan was de facto in a state of low-intensity civil war. The actions of Kurdish separatists were fueled by the Syrian Rojava Kurds and Syrian Kurdistan, which are controlled by the Kurdistan Workers' Party. As a result, Turkey deployed an anti-Kurdish campaign in Iraq. In addition to attacking PKK positions from the air, the Turks decided to rely on the loyal Massoud Barzani clan, which controls most of the official positions in Iraqi Kurdistan. Turkish troops were essentially deployed in northern Iraq to aid the Barzani fight disloyal Kurdish forces. The pretext is always the fight against the ISIS. In its turn, the United States does not support the actions of anti-Kurdish Turks and is attempting to turn an increasingly formed Kurdistan into a stronghold of US power in the region. This causes additional tension in relations between Turkey and the US, but now Turkey has almost no room to maneuver and is forced to follow in the wake of American strategic policy. The situation in Saudi Arabia is as difficult as ever. The country is mired in a hopeless war in Yemen. Military defeat is contributing to the growth of internal separatism in the region, mostly populated by Shiites. Falling oil prices have negatively impacted the Saudi Arabia economy and the implementation of the kingdom’s geopolitical strategy has yielded a number of problems. Among them is the problem victory in the above-mentioned Yemen campaign, the expansion of Saudi influence in the area of ? ?the Indian Ocean (the Maldives), the support and legitimization of Islamist proxies in Syria, and support for radical Islam in Afghanistan. A particular interest of the Saudis is Syria, where the kingdom is one of the fiercest opponents of Bashar al-Assad. Repeatedly, Saudi private funds have been accused of supporting not only the radicals of Ahrar al Sham or Jaish al-Islami, support for which is no secret, but also of financing the terrorists and insurgents of ISIS Al-Nusra. Indirect evidence also points to the fact that, although Saudi Arabia has condemned ISIS with words and the terrorist organization declared the kingdom its enemy, in 2015 the Saudi government took no real steps in fighting, economically or militarily, ISIS. In 2015, Riyadh made several attempts to negotiate with Moscow on a number of key issues, particularly Syria. Visits to Russia of a number of representatives of the Saudi royal family, including the defense minister and de facto ruler, son of king Salman, Mohamed ibn Salman, focused on this topic. In addition, Vladimir Putin personally talked with king Salman on the sidelines of the G20 summit. The Russian military operation marked the failure of attempts to negotiate with the Kremlin. The destruction of pro-Saudi groups in Syria forced the Saudis to try to legitimize them through including them in the peace process as negotiation participants. Saudi Arabia's relationship with its main enemy, Iran, is one step away from open confrontation. These parties are in a proxy war in Syria and Yemen. By weakening Iranian influence in Iraq, ISIS objectively acts in the interests of the Saudis. Saudi Arabia sentenced to death members of Shiite demonstrations in 2012. Among them were several teenagers and the famous Shiite religious leader, Sheikh al-Nimr who was executed on January 2, 2015. Previously, Grand Ayatollah Nasser Makarem Shirazi warned the Saudi Arabia government that Shiites all over the world will not tolerate the execution of one of their community leaders in Saudi Arabia. Now the Shiites are the majority of the population in the main oil province of Saudi Arabia, the administrative district of al-Sharqi. In addition, there are more Shiites (Ismaili) in the Najran province on the border with Yemen. The abusive attitude of the Saudis toward Shiites was emphasized by the bodies of Shiite pilgrims killed in the stampede in Mecca on September 29, 2015 (just over 2,000 people were killed). This further complicated relations between the Wahhabi and the Shiite poles of the Islamic world. Another factor undermining Saudi Arabiam security is the infighting of its elites. The royal family is quite numerous, but in 2015 the feeble-minded son of the founder King Abdul Aziz Salman came to power. After his death, power should have been given to the second generation of the Saudi dynasty. Most likely, in the near future Prince Mohammed bin Salman bin Mohammed and Crown Prince Naif Al Saud will meet in a duel for power. While the first one is an ardent supporter of Saudi hegemony in the region and is prone to adventures, like Yemen conflict, the second one has been previously characterized as the most pro-American member of the Saudi ruling elite. The third faction is the part of the ruling family that is dissatisfied with both pretenders to the throne. In August 2015, there were three open letters of the two princes of the house of Ibn-Saud. Their representatives call for overthrowing the Princes Mohammed bin Nayef and Mohammed bin Salman because their adventurist policies, especially the reckless operation in Yemen, have put the country on the brink of disaster. The year 2015 was marked by a full-scale Arab coalition invasion of Yemen under Saudi Arabian leadership. Besides the Saudis, the United Arab Emirates, Bahrain, Egypt, Morocco, Jordan, Kuwait and Pakistan took part in the war against Yemen. The last one only formally joined the coalition, but bears no real involvement in the conflict. The main burden of the war is born by Saudi Arabia, the UAE and Bahrain. The conflict in Yemen intensified after January 2015 when President Hadi, who came to power in the beginning of the Arab Spring, was replaced by pro-Iranian rebels, the Huthis. The Wahhabi Gulf monarchies could not allow control over the strategically important peninsula country of Yemen to be handed over to their geopolitical and religious opponents. Yemen is of high geopolitical importance. It is located in the southwestern part of the Arabian Peninsula. Control over Yemen is important for controlling the Bab el-Mandeb Strait, the narrow neck connecting the Red Sea and the Indian Ocean. The Bab-el-Mandeb is one of the key points of the sea route linking the Mediterranean and the Indian Ocean as all oil and liquefied natural gas tankers going from the Gulf to Europe must pass through the strait. The Huthis’ rise to power in Yemen is a direct threat to the domestic stability of Saudi Arabia. A significant part of the population of the provinces neighboring Yemen consists of Yemeni coreligionists, Huthis-Zaidis, and Shia-Ismaili, who suffer from the Saudi kingdom’s persecution. Iran could use Yemen as a base for organizing riots and protest movements within Saudi Arabia itself. The country urged the intervention of its geopolitical allies and the United States who are similarly against any strengthening of tellurocratic Iran and the interception of this strategically important sea route. The war of the Saudis and their allies against the Huthis has born no considerable success. The Huthis keep the country's capital Sana’a and much of North Yemen. Former President Saleh allied with Huthis and returned to the country. His supporters joined the fight against the invaders. In South Yemen, a significant part of the territory is controlled by local separatists and militants of Arabian Peninsula al-Qaeda and local Islamic State groupings. Islamic radicals are waging the war against both the Huthis and the Saudi coalition and are gaining entire cities. One of the main trends of this war has been the Huthis' use of anti-ship tactical missiles which have disabled few Saudi ships and missile attacks on Saudi bases, including on the territory of Saudi Arabia itself. By the end of the year, the Huthis and the Yemeni army loyal to the President attacked the centers of Saudi Arabian provinces close to the borders. They now control most of the Najran province and entered Jizan province, laying siege to its capital with the same name. - Iran’s supply of arms (optional). China is suspected of supporting the Huthis and Saleh as well, as it shows serious interest in the Bab El Mandeb. This year, the Chinese announced the construction of its own military base in Djibouti, located on the other side of the Strait. The only way for the Saudis to succeed in Yemen is a mass genocide of the local population. However, the Saudi coalition doesn’t follow any international rules of the warfare. Time plays against the Saudis. The weakness of its own armed forces as demonstrated in this campaign have forced the coalition country to seek mercenaries which have since become an additional burden on the country's military budget. There is the danger that, as a result of low oil prices, the Gulf countries will soon be unable to continue the war for economic reasons. In 2015, the most significant trend was the start of the Palestinian knife intifada. One reason was yet another conflict on the Temple Mount in Jerusalem in October 2015, when the Israelis refused to allow representatives of some Islamic movements to the mosque. The subsequent outbreak of violence led to a series of ongoing attacks by Palestinian youth on Israelis. The tools of terror are ordinary kitchen knives. The action does not have a leader and is spontaneous and all information and calls for attacks are spread across the Internet. Such violent Palestinian actions were preceded by Jewish religious extremists’ aggression inspired by the Israeli government. For example, the burning of an Arab family with a small child on the night of July 30 in the Arab village of Kfar Duma. Palestinians’ radicalization has also contributed to the continuation of the Gaza blockade and Israel's refusal to withdraw its troops from the occupied West Bank. Previous Israeli bombing destroyed the majority of Gaza’s civilian facilities. About 1.8 million people of a population of more than 2 million in the city were left without homes. Not a single house was rebuilt. According to the UN, Gaza has the highest unemployment rate in the world reaching about 48%. In such circumstances, the Gaza Strip is yet another world region where Islamic State structure could find strong support. They have already made several attacks on Israeli territory. In response, Israel launched strikes on ISIS forces opposing Hamas factions. 2015 was a year of both great hope and great loss for Egypt. The most important event was the destruction of the Russian passenger plane Airbus A-321 by the Vilayat Sinai terrorist group, a branch of the Islamic State, on October 31, 2015. This event showed the world the terrorist threat level in Egypt and exposed the problem of terrorist activities in the Sinai Peninsula, which was previously a problem for Egypt and Israel. This year, Egypt pursued a policy of balancing between thalassocratic and tellurocratic powers. On the one hand, the President of Egypt, Field Marshal Al-sisi, established relations with the Russian leader, Vladimir Putin. Egypt became the major customer of Russian arms. On the other hand, Egypt supported Saudi Arabia in its operations in Yemen. The Saudis are also one of the current Egyptian regime’s sponsors. Having achieved, together with the UAE, the removal of the former Egyptian government of the Muslim Brotherhood, which was backed mainly by Qatar and Turkey, the Saudis supported the military coup of Sisi. It is significant that Wahhabi pro-Saudi parties were not against the coup d’etat in Egypt. One of the most important consequences of the terrorist attack over the Sinai was a sharp decline in the flow of Russian and European (especially British) tourists. A chip in this important part of the Egyptian budget’s revenue has resulted in the increased dependence on the country and its leadership on Saudi Arabia. In 2015, the Libyan civil war continued, with the country virtually ceasing to exist as a united state. The chances of overcoming this division are too little. The conflict began on May 16th, 2014, when the Major General of the Libyan National Army, a US citizen actively co-operating with the CIA, Haftarah Khalifa, announced the launch of a large-scale air and ground operation involving his troops of the armed forces in the city of Benghazi. The military offensive mission received a codename: Operation Dignity. The fighting continues even now. The military coup d’etat took place because of the disagreement within the united power to overthrow Muamarra Gaddafi previously. As a result, two governments were formed in the country: in Tobruk and in Tripoli. The Tripoli government controls a significant part of Tripolitania, the northwestern part of the country. It is controlled by the local branch of the Muslim Brotherhood and is guided by Qatar and Turkey. The second, Tobruk government, in the eastern part of the country, near the Egyptian borders, controls most of Cyrenaica, the historical region in eastern Libya. The Tobruk government is considered as internationally recognized and focuses on the UAE, Egypt, Saudi Arabia, the Western countries, and is trying to gain Russian support. Both governments struggle in Fezzan, the southern part of the country, populated mainly by the Berber tribes. None of the governments were able to defeat the opposing side, and thus it is unlikely to do so in the near future. Every government is an amorphous coalition of different tribes and groups, warlords, following their local interests. In addition to the two governments in Libya, there is also the Islamic State local branch, who captured a significant part of the oil-bearing coast of Sirte and announced itself by the mass execution of Egyptian Coptic Christians in February 2015. Fighting against ISIS in Libya is largely done by the Tobruk government with the support of the Egyptian aviation, but it has not brought the desired result. Local groups in the city of Misrata have great importance, in fact, they are separated from the rest of Libya and the Tuareg tribes that control of the southwest of the country. All the groups fight for the Tuareg tribes influence. This year, peace talks were held to establish the coalition government including the representatives of Tobruk and Tripoli governments. Special roles are played by Morocco, France, United States’ ally in the Maghreb and Italy, Libya's former colonial power. In December 2015, an agreement was signed on the establishing of such a government. However, part of the Tripoli leadership already expressed disagreement with the document. The chances of establishing peace in Libya, even by creating such a government, is very little, as the reason for the civil war and the countries disintegration is not political differences, which can be solved by creating a party coalition, but the clan and tribal disputes. In 2015, the main Afghanistan trend became a split in the ranks of Islamists opposing the government. The moderate Taliban are representing the interests of the countries Pashtun tribes and are oriented primarily on the creation of the national Islamic state, expressing their readiness to start negotiations with the officials in Kabul. The talks were scheduled in July 2015, but the news of the death of Mullah Omar, the leader of the Afghan Taliban, slowed the process. Mullah Omar, who replaced Mansour, was also interested in the negotiations, providing the foreign troops withdraw from Afghanistan. In response, the implacable Islamists tried to assassinate the Taliban leader. Mullah Mansour’s opposition was represented by local radicals, foreign mercenaries and natives of Central Asia, expecting to use Afghanistan as the base for expansion of the former Soviet Union. Some of them continue their actions, regardless of the central leadership, under the flag of the Taliban movement; some joined the Islamic state structure that appeared in Afghanistan. In 2015, the conflict in Afghanistan became more complex. The confrontation between Kabul and the Taliban was added to the conflict between the Taliban and ISIS, and on the one hand, the conflict between the moderate and radical Taliban, and between Kabul, radical Taliban and ISIS, on the other hand. ISIS appeared as the new center of radical Islamist’s attraction, forcing the ruling region’s countries to reconsider their attitude toward the Taliban, recognizing it as not that great a evil or even a constructive force, which under the circumstances, can be freed from excessive radicalism. The Taliban, in turn, released an official statement in which they said that they do not intend to expand the organization beyond Afghanistan. It increases the chances to start peace talks between the Taliban and the Afghan government. China takes an active participation in the establishment of intra-Afghan talks, and sends periodically delegations to visit the Taliban. The representatives of Russia stated the presence of communication channels with the Taliban and the general interest in the Islamic State destruction in Afghanistan. India and Iran are also interested in peace in Afghanistan. The radical Islamist’s financing in Afghanistan comes from Qatar and Saudi Arabia. These countries are interested in the continuation of the Afghan conflict, as it would undermine plans to build oil and gas pipelines from Russia and Iran to India through the region countries, including Afghanistan. Thus, the oil and gas Gulf monarchies may lose a large market. These projects, as well as the strengthening of the Russian and Chinese influence in Afghanistan, will not be beneficial for the United States. Afghan’s leadership is quite anxious. In 2015, the Taliban frequently conducted terrorist attacks, including armed attacks in Kabul. In the summer, in the north of the country, the Taliban took the strategically important city of Kunduz. In the north of the country, in a number of areas, the Taliban came closer to the borders of Turkmenistan and Tajikistan. The current Afghan leadership needs to protect themselves from the radical’s attacks. Obviously, even if the Taliban leaders will negotiate, it cannot provide anything, the irreconcilable struggle will continue, despite the final decision. The Afghanistan leadership appealed to Russia several times to increase its defense. General Rashid Dostum, the head of Uzbek militants made a visit to Russia. All these events angered the United States, and it turned out that Afghanistan is gradually falling under the Russian and Chinese influence , and the Taliban and the official country’s leadership made the steps to achieve it. Under the pretext of the strengthening of the terrorist threat, the Atlanticists decided to leave the American and British troops in Afghanistan for several more years. The сhanging power balance in Pakistan had a significant impact on Afghanistan’s processes. The Pakistani elites are now divided. A part of it, especially the political leadership, reoriented toward China. In Afghanistan, this part of the Pakistani establishment stands for peaceful settlement of the conflict. Another part of the Pakistani elite, connected to the military intelligence and the Pakistani Taliban, opposes the peace process and maintains close ties with the United States. In 2015, Pakistan, in general, moved closer to the continental pole. This state, like India, entered the Shanghai Cooperation Organization. Pakistan continued to strengthen ties with Russia and China. In 2015, Chinese leader Xi Jinping announced the establishment of Sino-Pakistani economic corridor. It is the transport and logistics project that includes Pakistan in the new Silk Road, a network of transport corridors linking China through Central Asia to the western part of the Eurasian continent. Earlier in 2014, Russia lifted an embargo on supplying arms to Pakistan, which initiated the development of defense relations between the two countries. In August 2015, Russia and Pakistan signed a contract on military transport helicopters Mi-35M. In 2015, Pakistan had taken part in joint military training exercices with Russia in the Russian Far East as well as in competitions of the Air Force crews between Russia, China, Egypt, Venezuela and Belarus. Russian companies will take part in the construction of the North-South pipeline in Pakistan from Karachi to the port town of Lahore. In the future, this part may become part of the pipeline system, which will deliver liquefied natural gas from Iran to Pakistan and China. But there are no positive changes in the relations with the US. America is losing Pakistan, giving it to China and Russia. The change in the Pakistani foreign policy from the monopolar to multipolar course was accompanied by increased terrorist activity. In 2015, almost every month, Pakistan suffered from several acts of terrorism, most of them being committed by Sunni radicals and Baluchistan separatists. The religious groups that committed most of the attacks, was the Shiite minority. The intensification of fighting in Aleppo and an offensive of the Syrian army on Palmyra are expected. During the year these two cities will be liberated by Syrian forces. However, the successes of the Damascus government will end with these two major military victories. The beginning of political settlement and peace talks will not bring the desired results. The country will de facto remain ethnically and religiously divided, and will not be ready for elections in 2017. Bashar al-Assad will refuse to resign. After raising the issue of the necessity to deploy in a ground operation, Russia will be looking for ways out of war in Syria during the year. But the possible introduction of Turkish troops in north Syria may disrupt these plans. The Islamic state will not be defeated in Syria and will retain most of its territories except Palmyra. The Syrian armed forces will conduct operations against ISIS only in the second turn, firstly trying to destroy the weaker Islamist groups, which the West regards as terrorists. After cleaning the political battlefield, the Damascus government will remain the only alternative to ISIS. To protect their controlled Islamists and to neutralize Syrian Kurds, Turkey will bring troops into northern Syria. The Islamic state will retain most of its territories in Iraq. In 2016 there will be a battle for Mosul. The armed forces of Iraq with support of Shiite military formations and Kurdish militias will try to take the city, which is the de facto capital of the Iraqi part of ISIS. The operation will not succeed. The Iraqi government will remain divided. The Kurdish part will commit to a final formation of their own state. The conflict between the Kurds will not allow the statehood of a unified Kurdistan with the involvement of the Syrian and Turkish Kurds to be completed, but the significance of the Kurdish factor in world politics will increase. Turkey will save its military presence in Iraqi Kurdistan to maintain control over the process. It should be expected that the increase of terrorist activity against the backdrop of ISIS`s will be relative to the failures in Syria and Iraq. The movement will not be defeated, but also will not be able to gain significant victories in the region. The expansion of terrorist activity outside of Syria and Iraq would be the only way to preserve the attractiveness of the movement for radicals. In ISIS there will be significant changes. Those elements in the leadership of the movement which were associated with the region's Sunni communities of Syria and Iraq and the state structures of Iraq from the times of Saddam Hussein will give way to international terrorists, tied to foreign, primarily Atlanticist special services. ISIS will have a definitively global character. Terrorist attacks on behalf of ISIL in China, the Philippines, Indonesia, Bangladesh, Russia, India are possible. Repeats of the terrorist attacks in France and Germany are possible too. Terrorist attacks in the centers of Atlanticist world – the UK and the US – are unlikely. Armed conflict between Russia and Turkey in 2016 is unlikely. Both sides will begin a gradual restoration of relations, because it is in the interests of both countries. Progress towards this was observed at the end of 2015. Turkey will try to prevent a final breaking off of relations with Russia. At the same time, a return to full cooperation is not expected. The possible entry of Turkish troops into northern Syria could stall the process. Maintaining the Turkish military presence in northern Iraq will have a negative impact on the development of relations between Turkey and Iran. In both cases, Turkey will be forced to take this step to prevent the use of the Kurdish factor to undermine the Turkish state. Turkish Kurdistan will remain a significant headache for Ankara in 2016. Armed confrontation in Kurdish-populated regions of the country will continue. At the same time, the United States will try to use Kurds as a tool of pressure on Turkey and provocative actions in Northern Iraq and Northern Syria, encountering the Turks and the Russo-Iranian blocs again. Rapprochement between Turkey and Saudi Arabia will continue. Turkey will use it, also for the recovery of full-friendly relations with Egypt. The United States will try therefore to turn Turkey into a competing link between Qatar, which supports the structures Muslim Brotherhood, and Saudi Arabia and the UAE. The Turkish-Israeli rapprochement will take place more slowly. Largely it will depend on the compromises of Turkey in the process of the unification of Cyprus, which will it allow to implement several energy projects in the Eastern Mediterranean at the same time. The change of government in Turkey is expected in a peaceful way or as the result of a coup with U.S. support. This will occur if attempts at rapprochement will be successful. Bridging the Turkish-Russian differences is not included in the plans of the United States. The situation most likely for Yemen is that the Saudi coalition will engage in negotiations involving the conflict between both Islamic radicals and separatists in southern Yemen, in order to free the forces used against them to fight the Houthis. The Houthis will continue to have success in the defense in North Yemen and in the war in the border regions of the Saudi Kingdom. Under their partial control will come southern provinces of Saudi Arabia. The decline of oil prices will have the most negative impact for Saudi Arabia, the consequent inability to continue the war in Yemen may lead the country to drop out as one of the active players in the Middle East. The country will have to resolve domestic problems. In the border with Yemen and in the parts of the oil-bearing provinces of Arabia, it is likely to see a scenario of a Shiite rebellion that will be suppressed, but the tendency of separation of Shiite areas of the country will remain during the next year. The probability of success of the rebellion depends on the Saudis being able to avoid a heavy defeat in Yemen, and on a withdraw from the war just in time. The weakening of state institutions of Saudi Arabia will also be used by radical Wahhabis who already have a serious stronghold in Yemen in the form of territories in the Arabian Peninsula seized by al-Qaeda. So, a delicate situation in Saudi Arabia will continue from two directions: the Shiite and the radical Salafi. The collapse of the military adventure in Yemen will significantly weaken the position of the Minister of defense Mohammad bin Salman, and may lead to in his removal from the second position in the hierarchy for the Saudi throne. This will significantly weaken the position of radical Saudi interventionists in the court. It is most likely that crown Prince Mohammed Ibn Naif escapes responsibility for the Yemeni adventure, and will strengthen his position with support of the U.S. In the Persian Gulf it is expected that there will be Shiite unrest in Bahrain against the background of the strengthening of Iran and the weakening of Saudi Arabia. It is also possible that there will be a coup instigated by the UAE or Saudi Arabia, against the Sultan of Oman who prefers to balance between the Wahhabi monarchies of the Persian Gulf and Iran. The strengthening of Iran in the region will lead Oman into the sphere of Iranian influence, who are not interested either in Arabian monarchies nor in the US and the UK, with their serious influence on the armed forces of the Sultanate. The main problem in Egypt in 2016 will be counteracting terrorism in the Sinai Peninsula. No significant changes in foreign and domestic policy for the country is expected. In Palestine in the first half of 2016, it is likely to expect the continuation of intifada knives. In the Gaza Strip there will be an increase in support for ISIS in the context of the radical actions of the Israelis, and of Hamas's failure to give an adequate response to the Zionist state. New unrest at the Temple Mount are expected in the context of eschatological moods among Muslims and Jews, that will continue to destabilize the situation. In Palestine in this context, a color revolution against Fatah and Hamas movements, which divide power in the country, will become possible. In Iran in 2016 there will be elections to the Parliament and the Assembly of Experts, a legislative and deliberative body under the Supreme Leader (the Rahbar), which elects the Rahbar, and oversees his work. It is most likely that supporters of the incumbent President Hassan Rouhani (the moderate reformists), and representatives of conservative circles, will get the majority of seats in the Majlis. He was able to maintain good relations with Russia and China, and furthermore strengthen them, to show firmness defending Iranian and general Shiite interests in the Middle East, and at the same time carrying through a very important Iranian nuclear deal, which will have great benefits for the development of the economy. The United States will attempt to use the elections to destabilize the situation in Iran, but the internal cohesion of the society and upward economic mobility bolstered by the lifting of sanctions will not contribute to the success of this strategy. The next year a withdrawal of UN and European Union sanctions from Iran is expected. On the contrary, using various pretexts, the United States will strengthen the pressure of sanctions, such as surrounding the Iranian program of building ballistic missiles. The accession of Iran to the world oil market will further reduce the prices of oil. It forces its main rival Saudi Arabia to face the prospect of reducing production in order to keep prices at the same level. All of this will hit the budget of the Saudi deficit already. Those clans who will disagree with the agreement on forming a coalition government, will find new sponsors and will join the war under new brands. It is highly likely that some of them will be in ISIS, the others will support the creation of new alternative structures of power. Creating a coalition government did not significantly change the situation. Proliferation of destabilizing trends from Libya to other Maghreb countries is expected. First of all, to Algeria. The Tuareg factor cannot be overstated, as they well armed, and trained in the armed forces of Libya, the tribes of Muamer Gaddafi will manifest themselves in other African countries, particularly in Mali and Mauritania. We should expect a coup in Algiers. The current president of the country is seriously ill and had not appeared in public. Released in December of 2015, allegedly belonging to him were proposals for the amendment of the Constitution to significantly limit the powers of the military and distribute those powers among other authorities, which were previously the responsibility of the President. Most likely these proposals were dictated by the competing groups that focused on liberal reforms in country, and on the complete subjugation of the country to the West. Most likely, a military coup will be the answer of the generals attempt to limit their power. Establishing a military dictatorship will be justified by the intensification of Islamic extremists, who will receive assistance from Libya amid falling living standards and oil revenues, due to the continued falling prices for black gold. In Afghanistan in 2016, the continuation of Taliban offensive is expected. Tensions between radical and moderate Islamists will continue. There will be a few more assassination attempts on Mullah Mansoor. The war between the Islamist groupings will contribute to the rise of chaotic processes in the region and will affect neighboring countries in Central Asia and Pakistan. Most likely, we can expect an armed Islamist export from Afghanistan onto the territory of former Soviet republics of Central Asia, Iran and Pakistan. Leaders of Afghanistan will receive, in 2016, a small amount of military aid from Moscow. Moscow and Beijing will continue to establish relations both with Kabul and Taliban officials. It is quite possible to see the beginning of the official negotiations between Kabul and Taliban representatives. The most likely place for these to take place is Islamabad. However, no serious documents in this year will be signed. Pakistan will continue its rapprochement with Russia and China. Against this background, Pakistani-American relations will deteriorate. Rapprochement with Russia, which also builds a friendly relationship with India, will contribute to the normalization of the India-Pakistan conflict in Kashmir. The probability of an escalation of this conflict will be reduced, although the problem itself will not be solved. The events in Afghanistan will have a serious impact on the development of the situation in Pakistan. We should expect an increase of terrorist activity in the country.